While the primary aim of the tournament is to find the National champions, a secondary aim is to provide a social event where schools from all over Australia can come together and enjoy playing chess. Another characteristic that differentiates it from the more main stream chess tournaments is that many of the students playing are not “main stream” chess players. This might be the first time that some of them have played “rated” games. 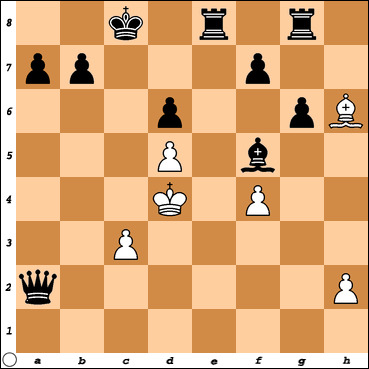 How can Black force checkmate in 2 moves ?